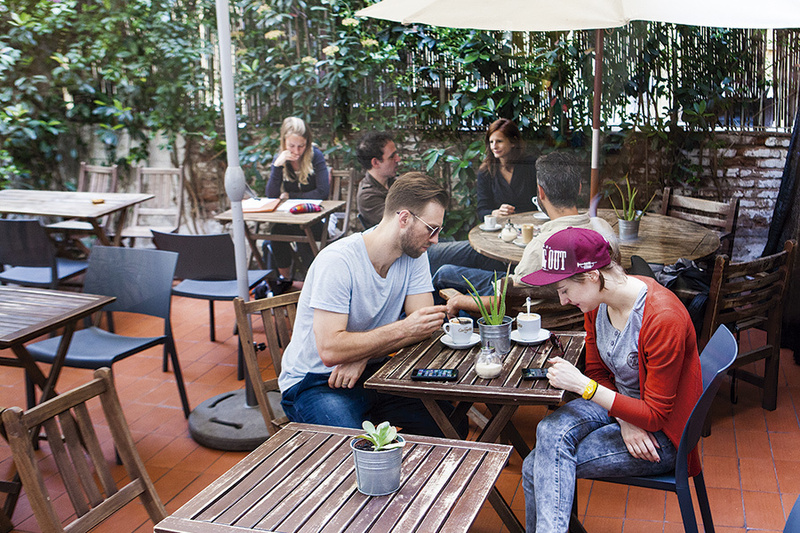 The brunch trend has spread throughout Barcelona with lots of options to pick from. 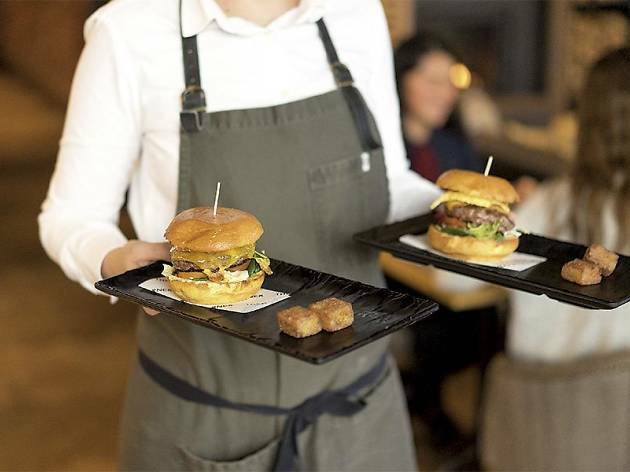 New to the brunch trend, many bars and restaurants in Barcelona have decided to sign up for the phenomenon. The food has been refined and rejuvenated into new cuisines. 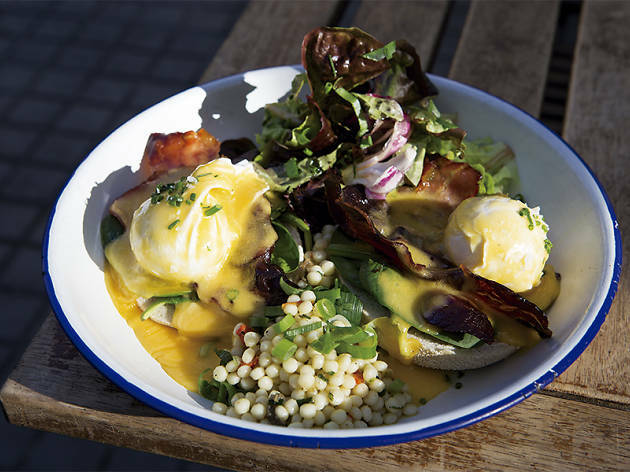 Whether you’re looking for some energy from scrambled eggs or want toast with bacon after a weekend of exploring the city, look no further than these places with some of the best brunches around. 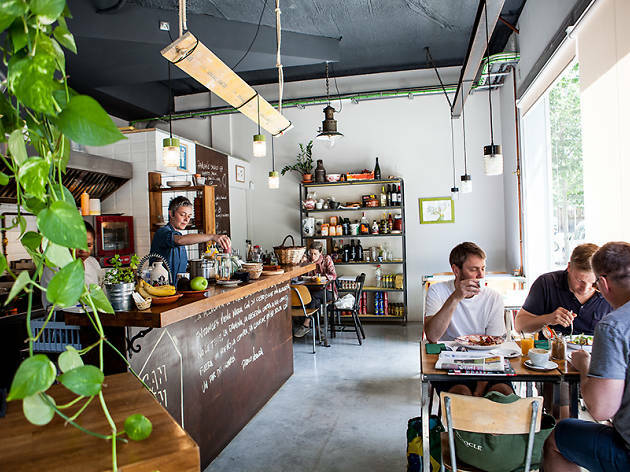 Some places are more traditional with their brunches resemblig a sit-down lunch while others have created menus and cuisines that are more modern and new. 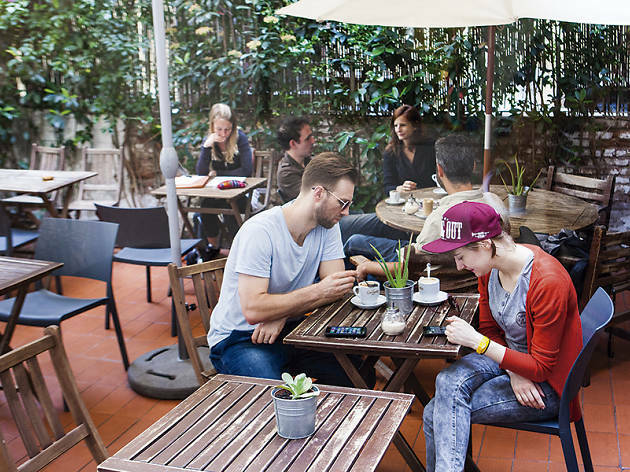 Don’t worry however as brunch won’t take away from a simple breakfast at the best coffee shops in Barcelona. 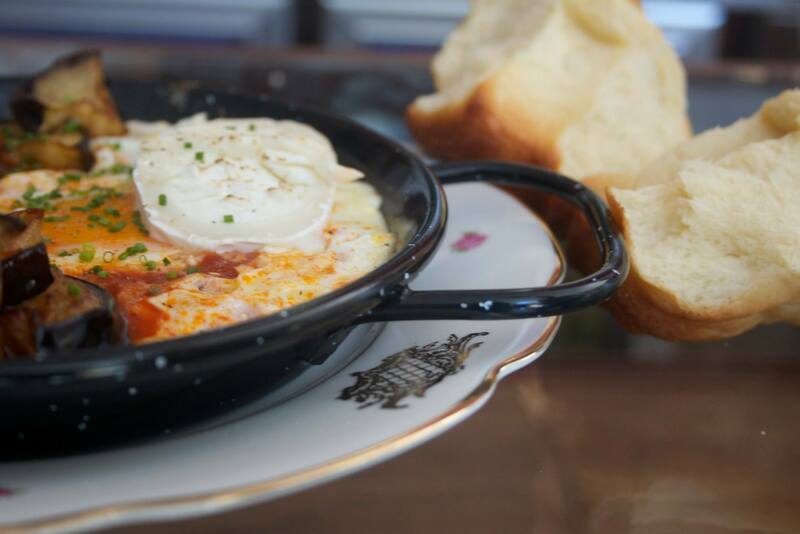 Believe us, brunch in Barcelona is here to stay! 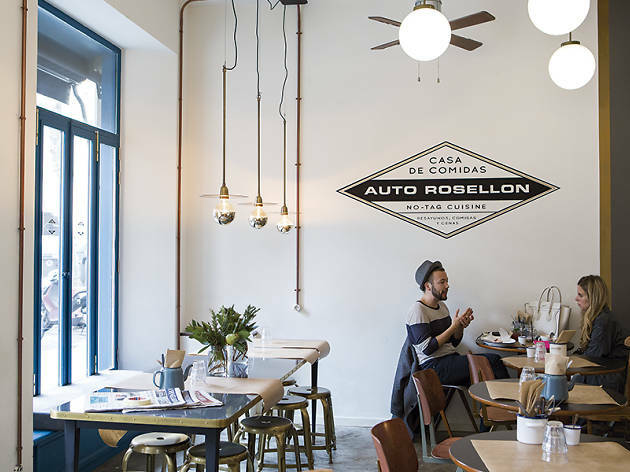 The perfect place for a brunch with a personality, Auto Rosellon will leave you satisfied. 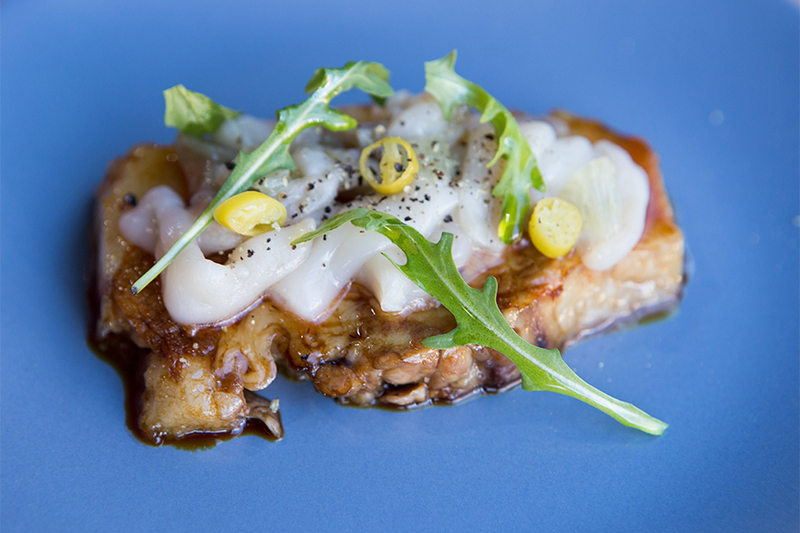 The concept is simple: no lables and let the food have its own personality for the best brunch experience. The brunch menu is decently priced and offers the best seasonal products. Opt for the scrambled eggs with crème fraîche, salmon and raifort, a bowl of granola with yogurt and fruit or toast with homemade jam as well as a diverse sandwich and cocktail. 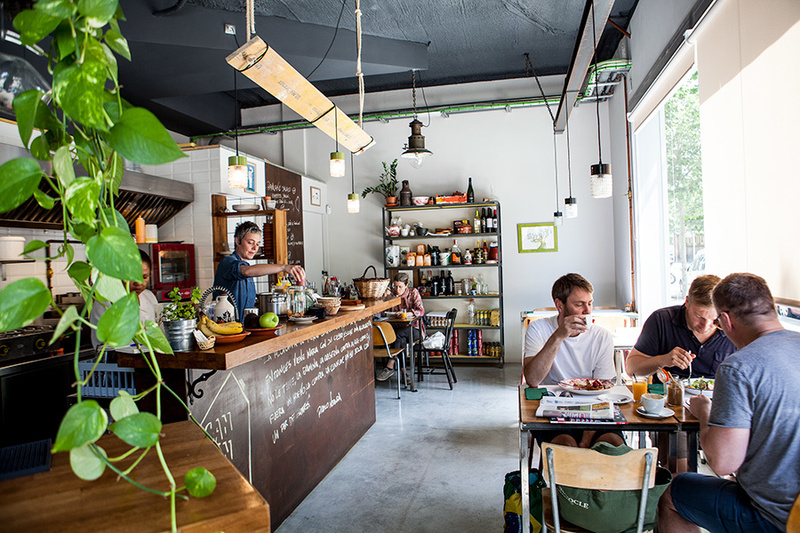 Whether you're looking for a quick coffee or a brunch to satisfy your tastebuds, look no futher than this little cafe. 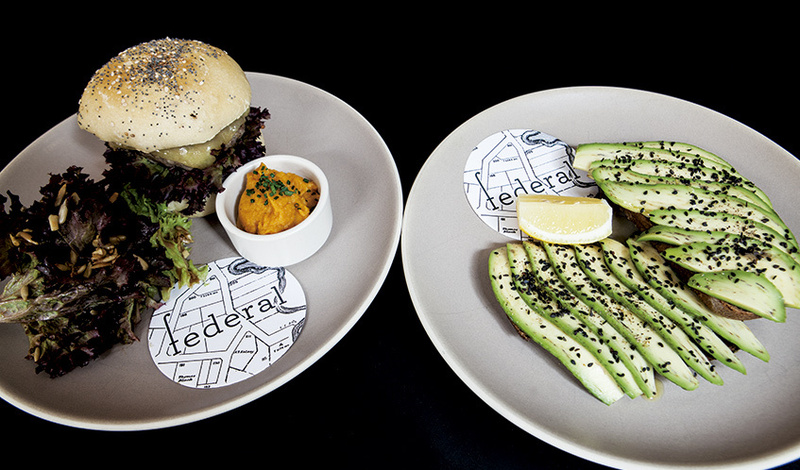 Offering friendly service and a menu specialising in breakfasts that can rejuvenate you after a night out on the town, Federal Cafè offers visitors the perfect brunch with its selection of juices, eggs, sausage, fruit and sandwiches. The two 'schmucks' from Sweeden (Moe) and London (AJ) opened the bar for brunch, coffee and cocktails while it was still under construction but now you'll find a place with a delicious South American brunch. Here you won't have to pay a lot for quality food (the eggs and chicken come from central Catalonia). 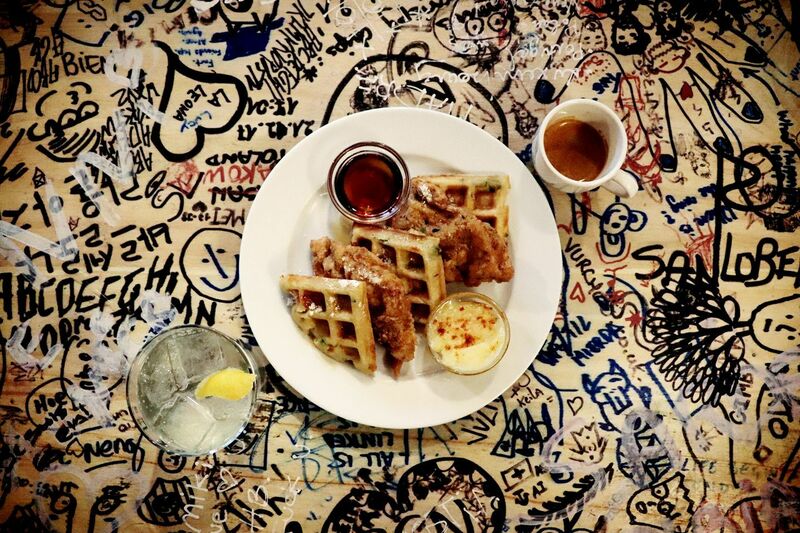 The fried chicken with waffles and honey butter is well worth the calories. This all-day restaurant combines the best Mediterranean and Latin American influences into one delicious cuisine. 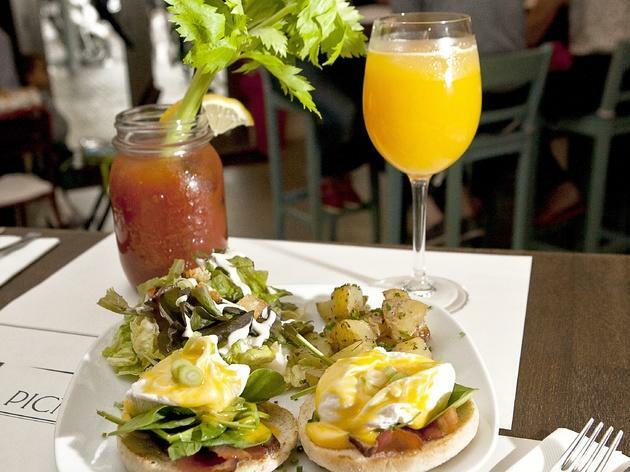 Brunch is a culinary delight made from the freshest produce in the area. Their 'shakshuka' (baked eggs topped with yogurtm avocado and coriander) is a creamy delight that pairs perfectly with the country bread. Don't miss the tapas or craft beer either. 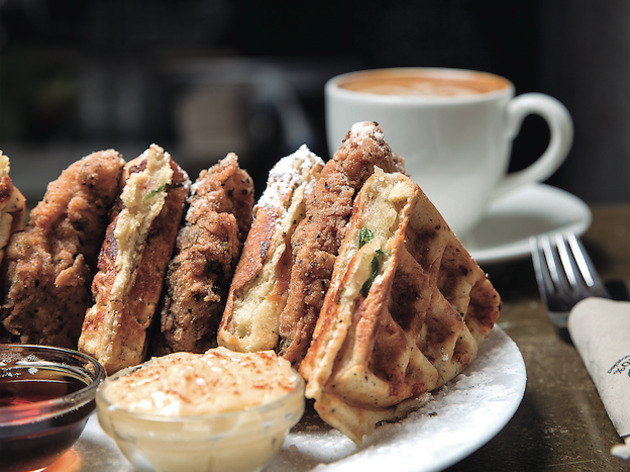 Brunch is kept simple at The Corner Bar but that doesn't mean you shouldn't try it out. On Sundays you can experience live music while enjoying a spread of food for less than €20. 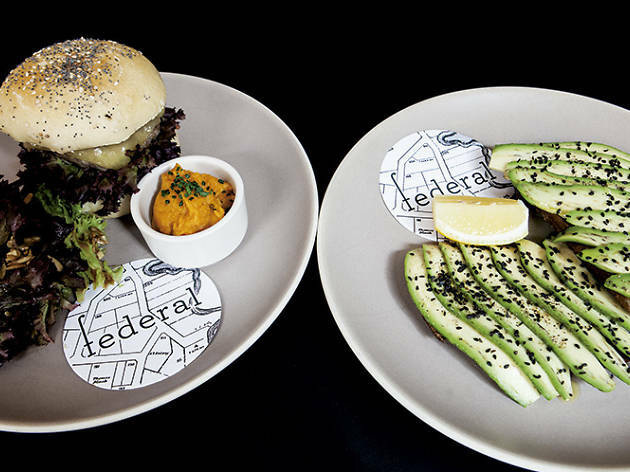 Enjoy brunch favorites like eggs Benedict, Iberian ham and a hamburger with the best cheddar cheese. Pair it with a glass of cava, water or coffee that comes with the meal and you'll be brunching like a champ. 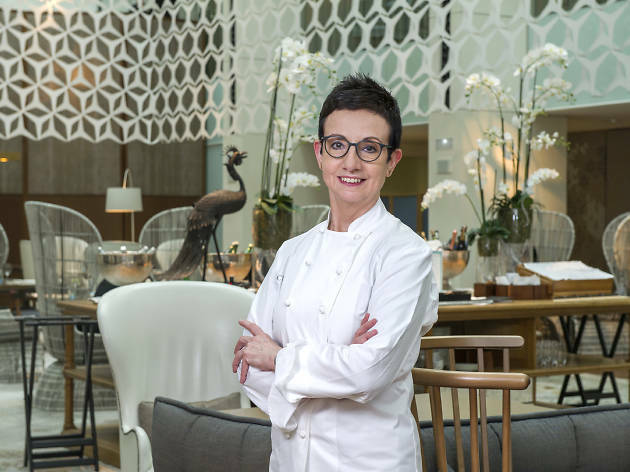 Brazilian chef Patricia Leona is the heart and soul of this charming restaurant-bar's cuisine. 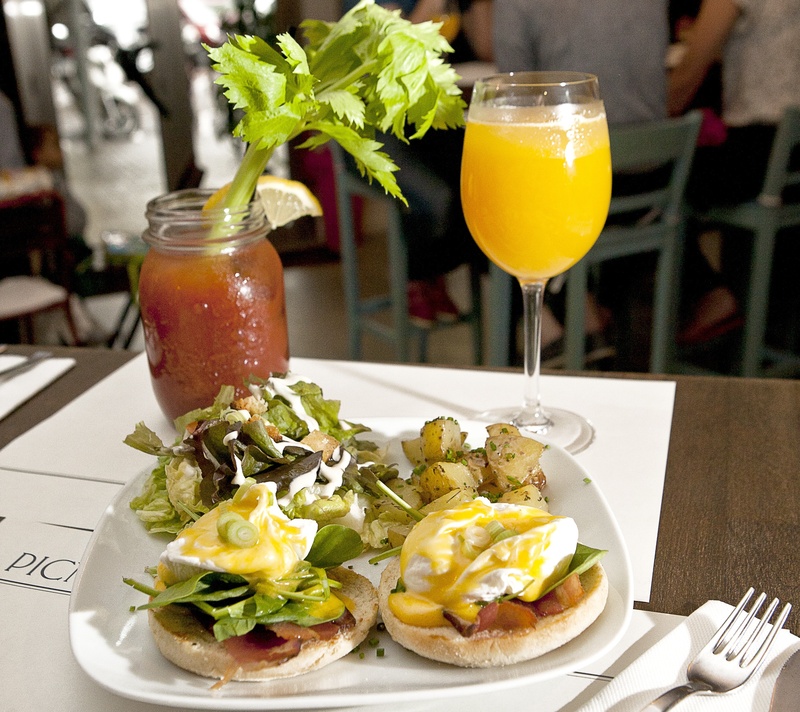 Specializing in good breakfasts and brunches, you can eat eggs Benedict and sweet and salty pancakes. 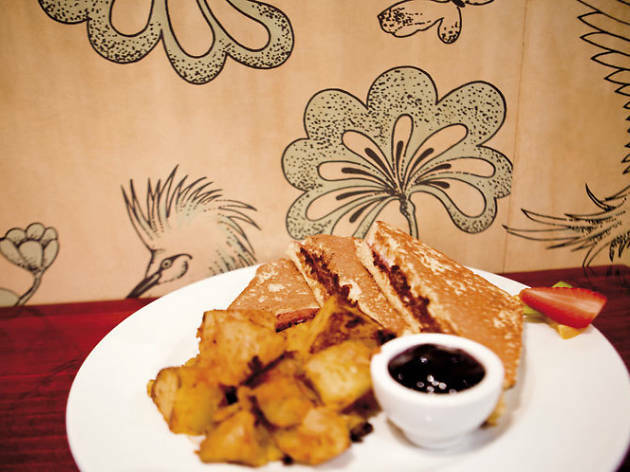 For lunch, it's kept simple but delicious with delicacies like pulled pork sandwiches and marinated Brazilian dishes. Let's make one thing clear. This is not your typical hotel brunch. 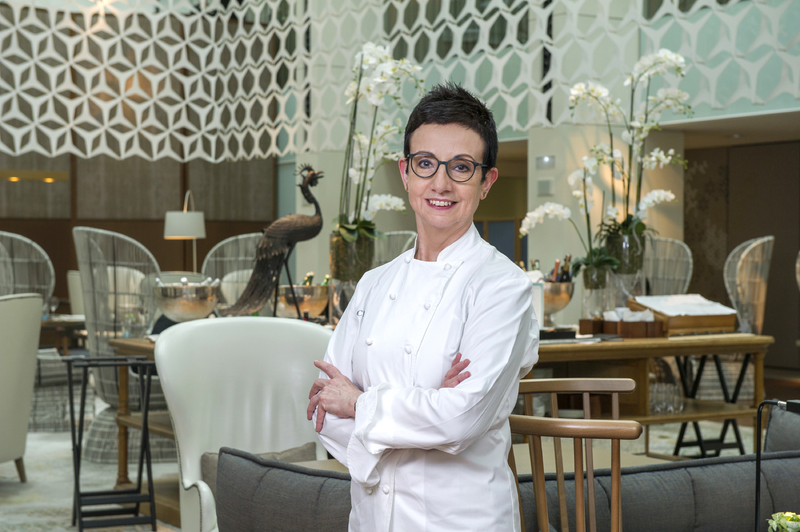 Catalan chef Carme Ruscalleda's brunch is nothing short of spectacular. Catalan favorites like cannelloni and lobster rice, delicate sushi and special seasonal dishes are avalible for an excellent tasting brunch on Sundays. 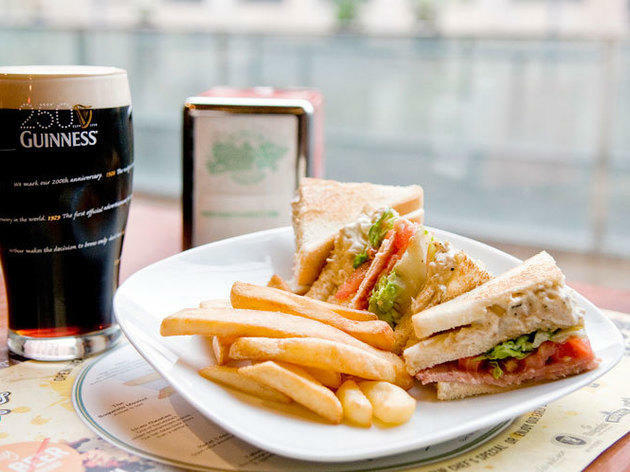 For less than €9 euro you can indulge in the greasy glory of Flaherty's Irish Pub. Irish sausage, baked beans, hash browns, muchrooms, fried eggs and white pudding are just some of the brunch staples offered. 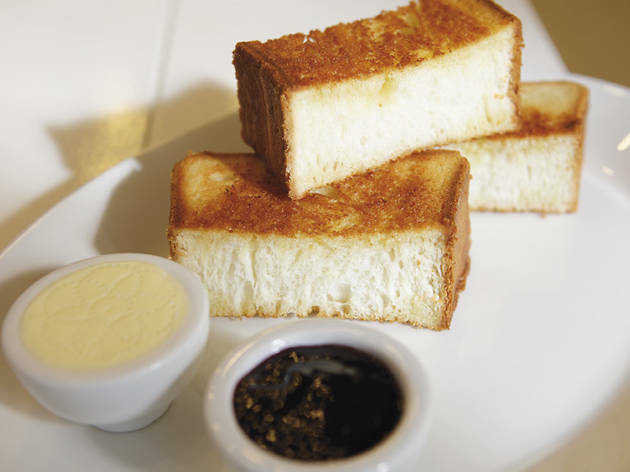 Pair it with some coffee, toast and jam and you'll be set for the rest of your day. 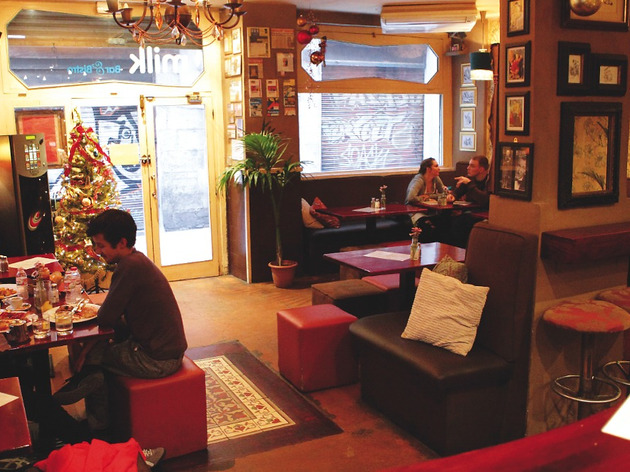 Filled with soul and love, Ugot will not only give you a hearty brunch but high quality food. 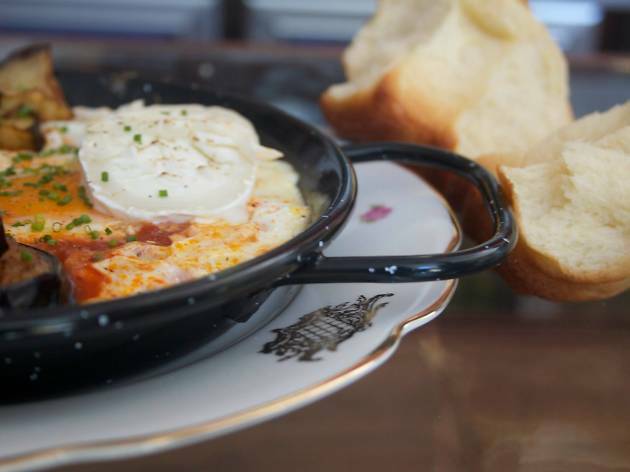 Known to have some of the best eggs in Barcelona, they offer five versions of eggs Benedict as well as french toast and soup. 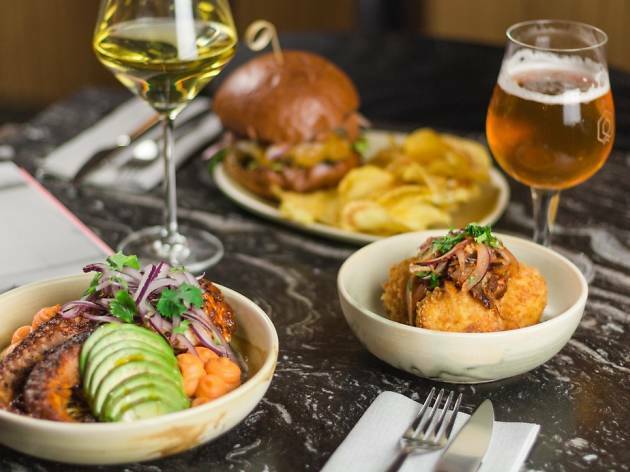 Infused with Israeli cuisine touches, stop by for some tapas or stay for salads, burgers and pastries that are out of this world. After introducing brunch in 2009 with Picnic, Californian Tara Penke and her younger brother have opened The Little Basket. The place is a quaint, beautiful space where new food experiments are constantly happening like the duck peladilla with naan bread and eggs with chipotle sauce. From Thursday to Sunday enjoy brunch form 10:30am-5pm. In addition to eating, you can purchase local craft beers and take a few treats to go. With a focus on healthy and energy boosting food, you won’t feel guilty after eating brunch at Maai. 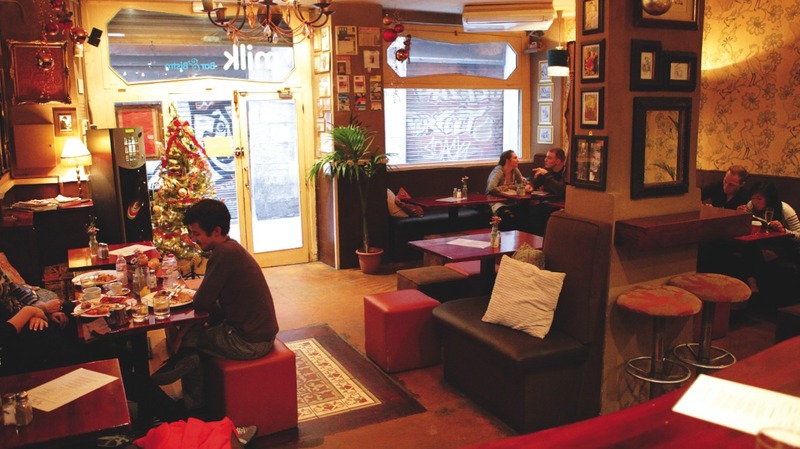 The cuisine is friendly to gluten and dairy intolerances and focuses on fresh, quality meals. 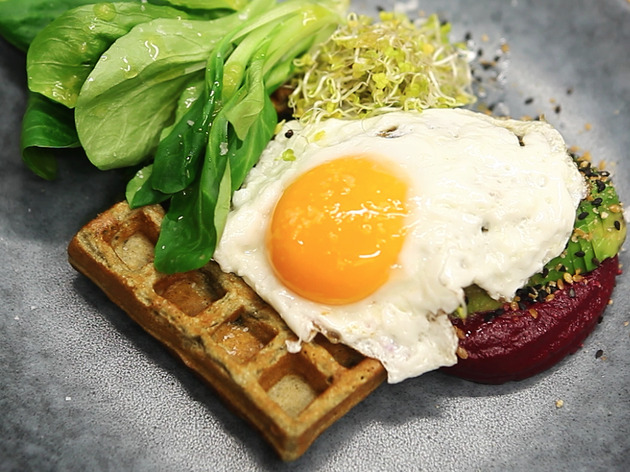 You won't find food drenched in oil, rather waffles made from chickpeas with hummus, avocado and eggs. 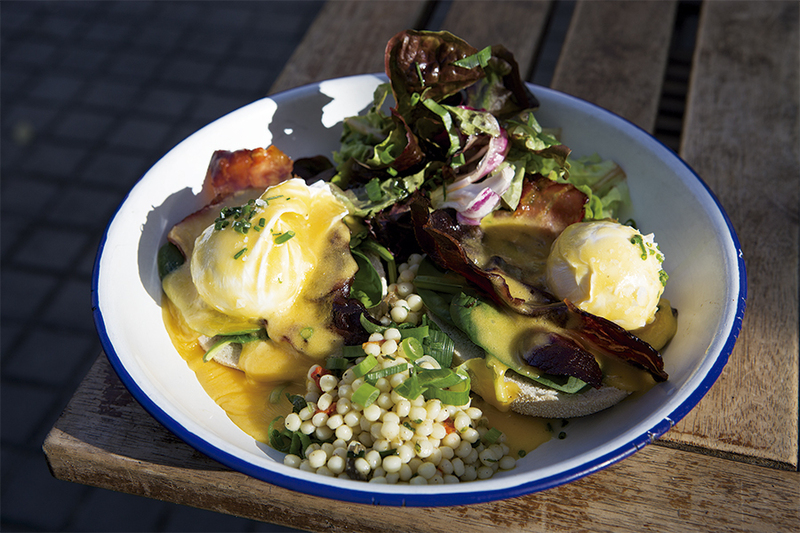 Most of the food creations are made from scratch for a quality brunch for less than €11. Picnic's brunch is already known as the best place to recover from a night out on the town with its eggs Benedict and a cocktail selection. 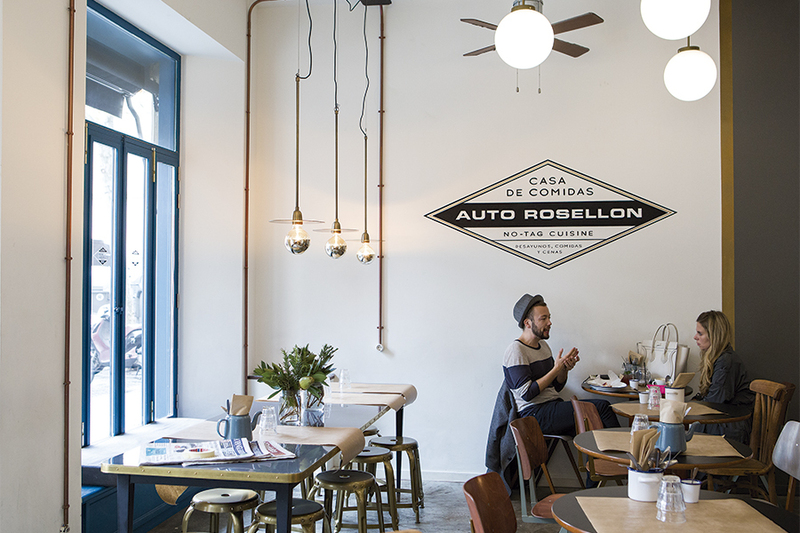 Since opening in 2010, the tradition of a US brunch has become a favorite to Barcelona. Depending on the season, you can order pork ribs with mashed potatoes or a gumbo inspired by New Orleans. 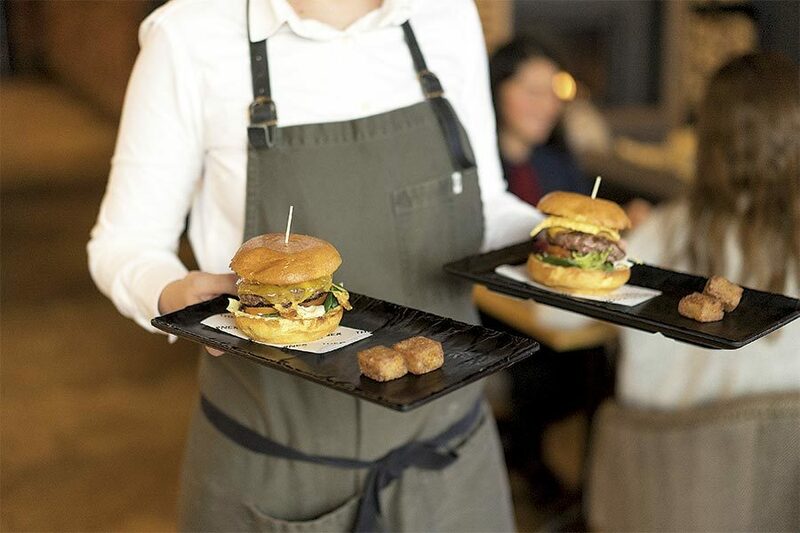 No matter the time of day, the service is always friendly and the prices won't hurt your wallet. Not intended to be a place just for tourists, this breakfast all day place is known for their brunch. They have a huge brunch selection that includes pancakes, salads, hamburgers, bagels and plenty of egg options. 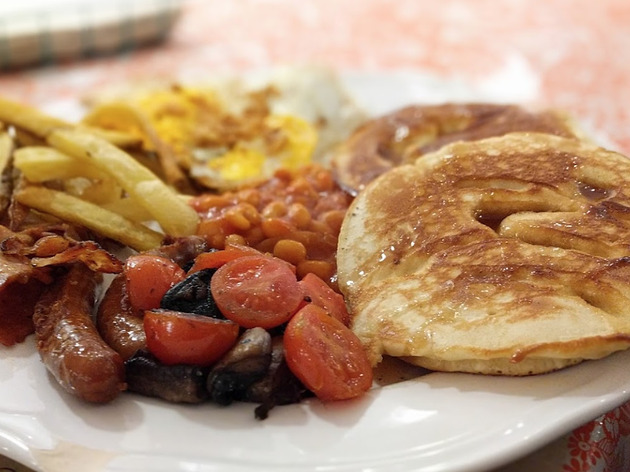 From the greasy English breakfast to the huevos rancheros, you can't go wrong with whatever you pick. They only speak English, but eggs are a universal language. 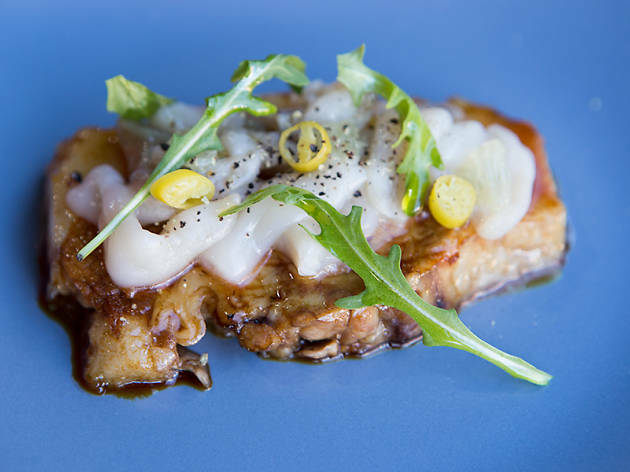 This newer restaurant offers a modern and popular take on the Catalan cuisine of the area. Stop by for brunch and enjoy a mini eggs Benedict with bacon or the essential Catalan foods like pork feet and tripe with chorizo. 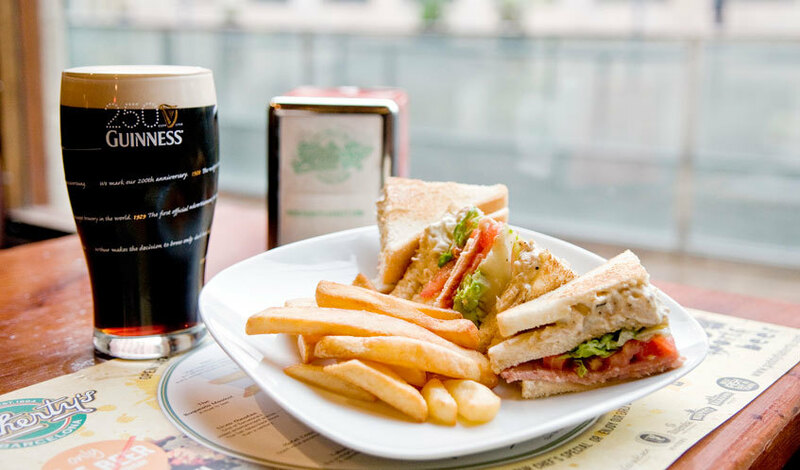 The sandwiches are spectacular and be sure to pair them with the beer on tap. 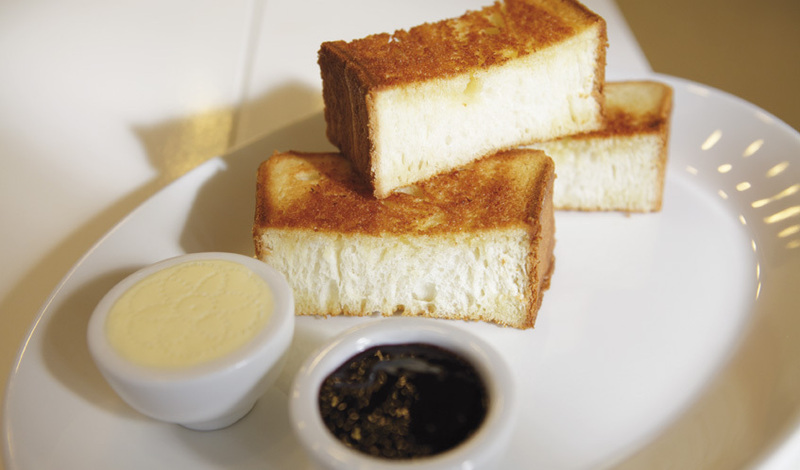 Marmalade, just like its older sibling Milk (above), serves a good brunch on the weekend. 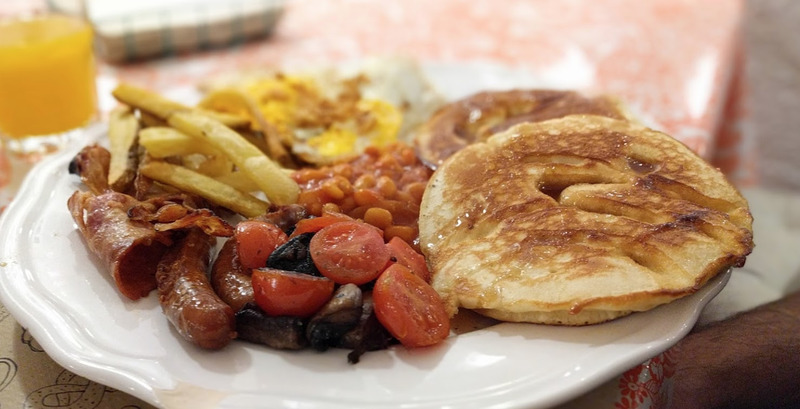 Cure your laziness or hangover with juicy burgers, fluffy pancakes or a traditional English breakfast with bacon, eggs, sausages and baked beans. The four rooms make it a perfect place to enjoy brunch in a cozy corner table or with a group of friends in one of the bigger seating areas. 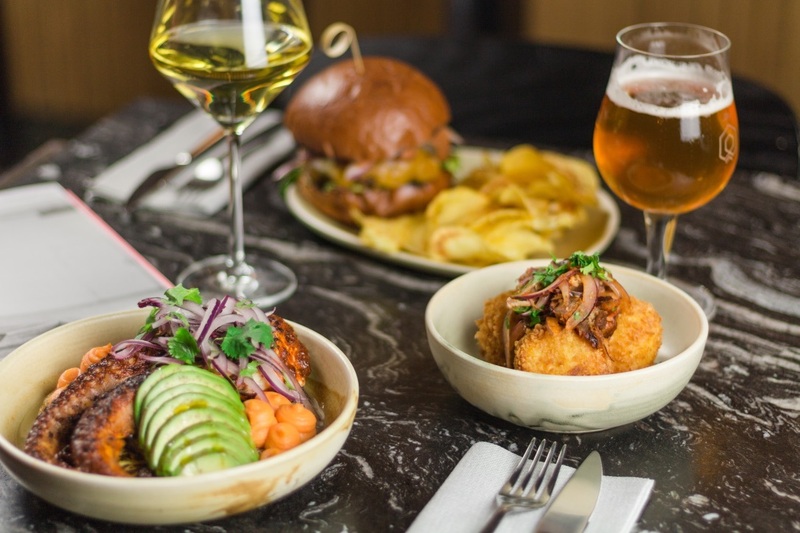 Three friends who graduated in philosophy, journalism and art history have turned a corner bar into delicious miniature restaurant, where they have reworked and updated classic dishes from Basque and Galician cuisines. Stop by on Saturday mornings and try their brunch menu which includes toast and home-made jam that has become popular among visitors. Here you can find delicious recipes with British, Italian or Catalan influences, but always original recipes. 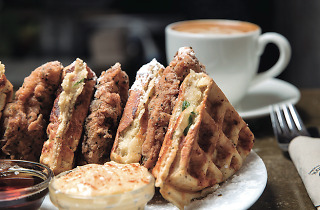 The breakfasts are sweet and savory and come with an American twist like the fried rabbit. Everything from the braised ribs to the poke bowls and home-made desserts make for an unforgettable brunch. The concept was to have breakfast all day but gear the idea towards the locals. This place has everything you could imagine with regards to breakfast food. From french toast with eggs and a cheddar stir-fry to fried bacon. Seeing the creations that can be made with pancakes is worth the visit alone. 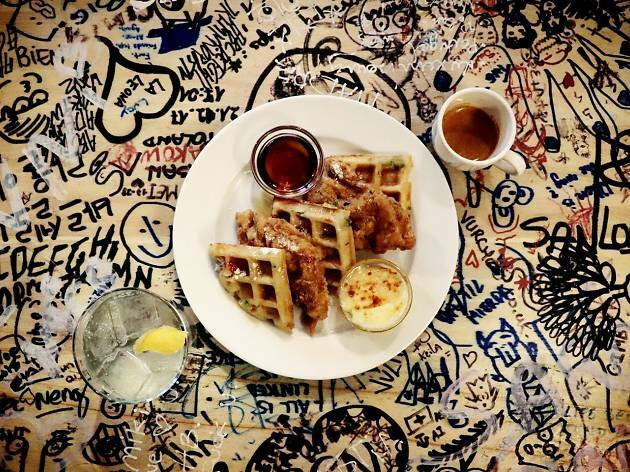 Though customers do often go for brunch, the owner of Mama's Cafe prefers to refer to it as a diner. Feel free to grab a quick bite to eat or stay and enjoy a the food with a cup of coffee. 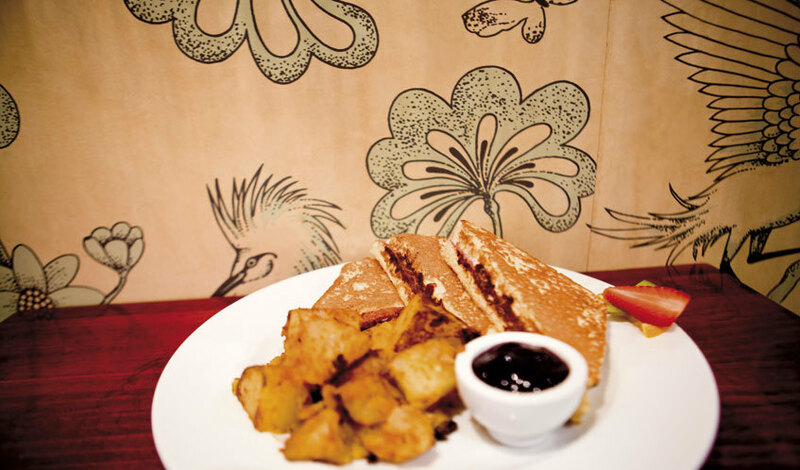 You'll find hearty breakfasts served all day, daily specials and gourmet sandwiches, with mainly organic incredients. Finish your visit with a sweet dessert and leave feeling satisfied.